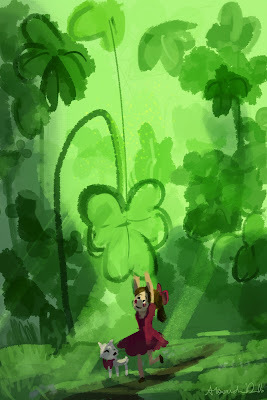 Once Upon a Sketch: Grab Some Luck. Yay 100th day! Alex, your illustrations are so charming! Keep 'em coming! :D Woohoo!! This was actually for the 90th one!! :D I just accidentally posted it after midnight. >.< The next one is 100! !